Everyone loves to click photos and videos on our smartphones and digital cameras, but how many of us take the effort to backup the photos onto a external hard drive. Your photos are your memories and if you happen to lose your phone, you will probably risk losing all your photos and videos. Which is why, we highly recommend that you invest on a 2TB hard drive if you capture a lot of videos. Below are few more reason why you should invest on a portable hard disk. 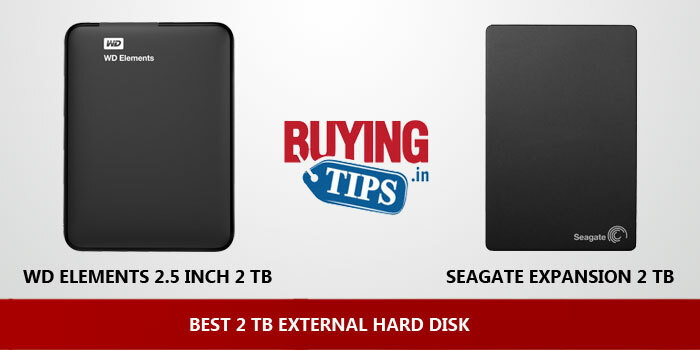 You can skip the part and scroll below to find two of the Best 2TB External hard drives available in the market. We all click pictures on our smartphones, but how many of us safely store those captured memories? Some of them are uploaded to Facebook and others remain in the phone. When the storage gets full, pictures are either deleted or stored on the PC. A better idea would be to buy a hard disk to store all the pictures that you take. 5 years from now, those pictures will be memories that will be close to your heart. Don’t lose them. The same applies for all those beautiful videos that you capture using your mobile phone. Since they consume a lot of storage space, most of us delete videos to free up space. Transferring those video to your external hard disk will ensure that the video is stored safely and can be viewed at any time! Hard disk storage is a much cheaper option as compared to buying memory cards for your mobile phones or digital cameras. 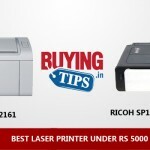 For example, a 32GB MicroSD card for your mobile phone would cost you around Rs 800. A 2TB hard disk offers more than 60 times the storage is priced at less than 10 times more than a 32GB card. When buying a 2TB external hard disk, always look for slimmer 2.5 inch drive variant. The bigger 3.5 inch external hard drives are slightly cheaper, but they are not at all portable. You need to connect them to an external power source, which means when you’re travelling you can’t directly connect it to the laptop and start using the hard disk. They are also heavy and take up a lot of space. We often get asked, how much songs / photos / videos can you possibly store on a 2TB hard disk. Below we give you examples. Songs: Most MP3 songs are between 4-5MB. You can store nearly 40,000 to 50,000 songs on a 2TB external USB hard drive if you decide to us it just to store music. Photos: Since there are so many different types of smartphones, each coming with varying megapixels and quality, this number would vary. But the average size of photos captured from mobile phones is 2-3 mb. That means you can store 10,00,000 to 20,00,000 (You read that right) photos on your 2TB external HDD. Digital camera photos, especially those captured in RAW mode, are much larger. Still, even with 8-10MB as an average, you will be able to store 2,00,000 – 2,50,00 high-quality photos! Videos: The size and quality will vary, but you could store more than 2000 hours (approx) of Full HD videos on 2TB hard disk. 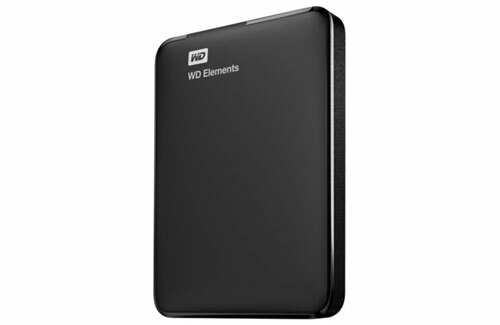 We have been using the Western Digital Elements 2.5inch hard drive for quite a while now. It simply does its job well. The 2TB variant is slightly larger than the lesser capacity hard drives, but not by much. It’s well worth the investment. We didn’t have any heating issues in the last one year i.e purchased in January 2015, it’s February 2016 now. 13 months without a single issue. Do make sure you ‘eject’ the hard drive before you remove it from the USB port. Highly recommended! 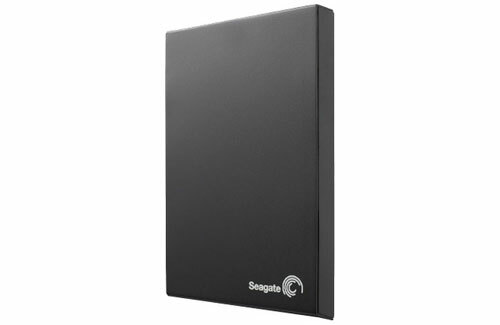 The Seagate is equally good and you could probably find it for a lesser price. Again, does its job well. We haven’t tested this for an extended period of time, but we happened to use it for about 2 weeks without any issues. If you have any questions related to hard drives, feel free to ask them in the comments section below.